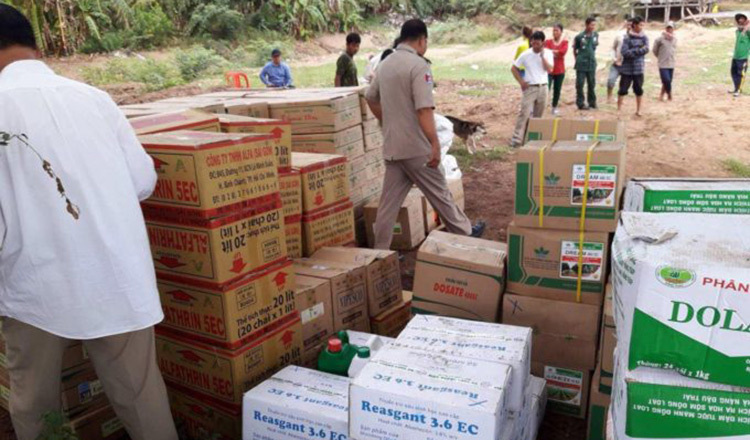 Mixed forces from the Interior and Agriculture ministries cracked down on about 10 tonnes of prohibited agricultural chemicals that were illegally imported from Vietnam into Kandal province. 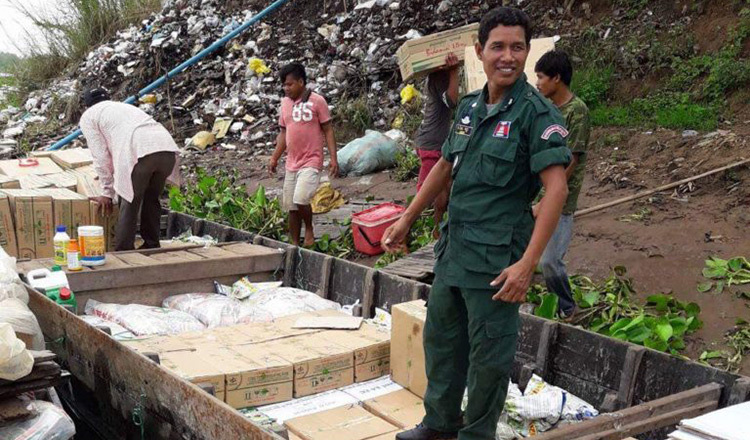 The operation to crack down on agricultural chemicals took place on Wednesday afternoon, as dealers transported imports from Vietnam by boat through Kandal province’s Chrey Thom border checkpoint. Long Sreng, deputy director of the Interior Ministry’s anti-economic crime department, said that in the crackdown, police found 16 kinds of agricultural chemicals equivalent to nearly 10 tonnes, which were illegally imported by three dealers from Vietnam. “All of these chemicals were transported without legal permission. They are prohibited and unregistered, products so when our forces reported about the case, we cracked down,” he said, adding all of the goods were confiscated. 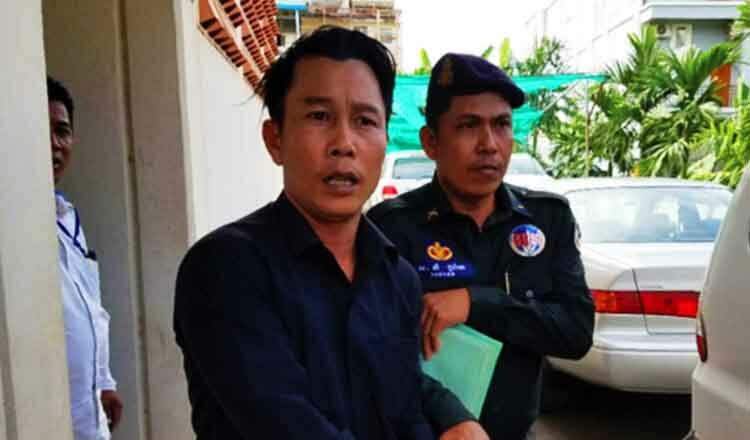 Mr Sreng said that the three dealers who imported the illegal products were Cambodian, who will be called to the provincial court for questioning and fined in accordance with the law. 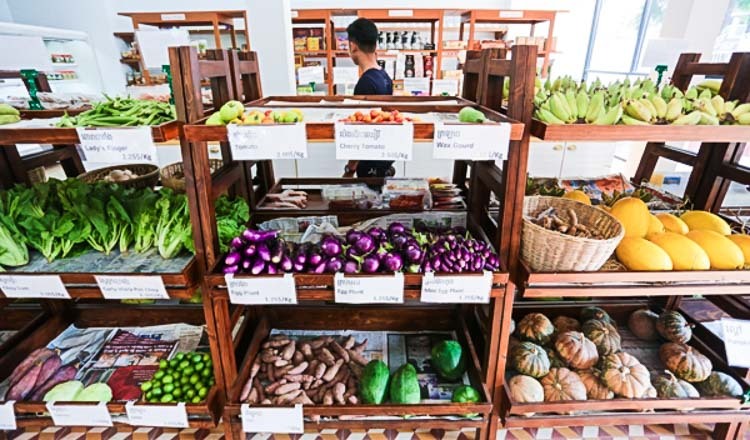 Leng Sreng, deputy director of the Agriculture Ministry’s agriculture legislation department, said the agricultural chemicals – which included pesticides, herbicides and products to improve crop growth – were not banned chemicals. “Those are not prohibited chemicals, but they were illegally imported, not registered with the ministry, and have not yet passed the test,” he said.